This is the continuing saga of the evolving head. 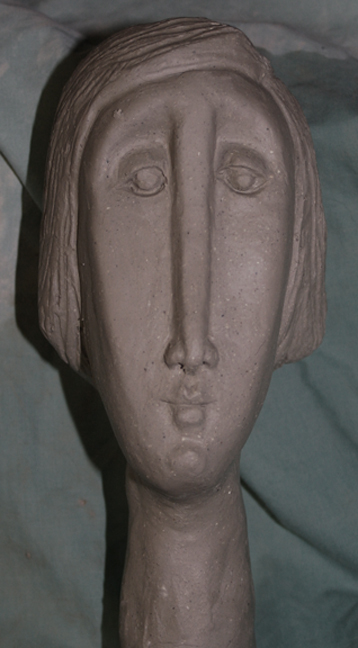 The photos posted here take the clay head from detail refinement in wet clay to bisque firing at cone 04. It’s still just a head with no context. I’m at the place in the process where I need to let the piece develop a vocabulary. Much like the approach used to create a two dimensional collage, this piece will become part of a mixed media assemblage. My next post will include the steps along intuitive path to completion. 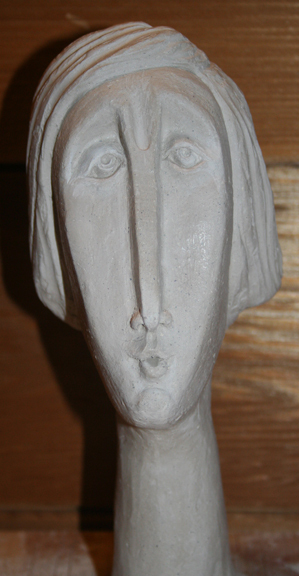 This entry was posted in ceramics, clay, narrative sculpture. Bookmark the permalink. I wonder what a whole group of these ladies could do if they gathered in one place?